Looking to get ahold of the new Samsung Galaxy Note 10.2, the Google Nexus 7 or the Toshiba Excite? How about the iPad Air or the iPad Mini 2 that is due out soon!? 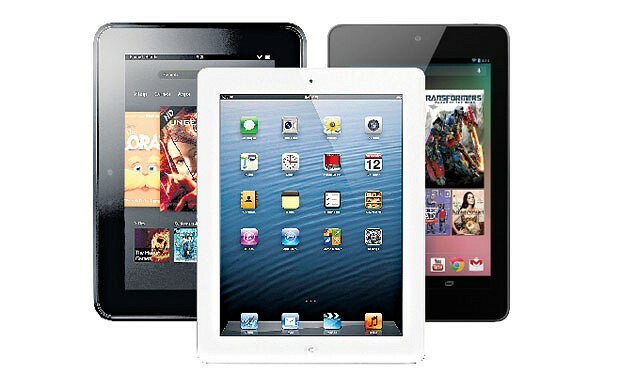 Find the latest released tablets fresh out on the market today. Keep in mind, that tablets make great gifts for any occasion because they’re multiple presents in one package, due to all the apps out on the market. Shopping for a tablet can be a confusing experience. I know I get a headache from thinking about all the different tablets out there today. Look no further, We’ve got what you are looking for here!